In 1969, William’s parents bought their first new car. It could have been any car. Chevelle station wagons and 4 door Chevy Novas were popular enough at the time for hauling around the kids, but William’s parents chose something a little sportier: A 1969 Chevelle SS396 hardtop. 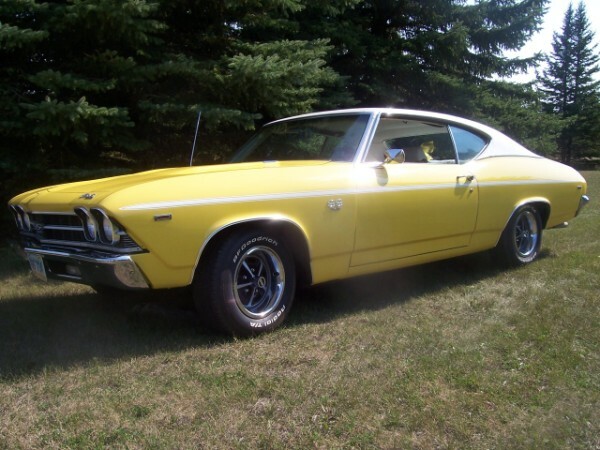 This 69 Chevelle Super Sport ended up being the family car for a number of years. William can remember getting hauled around town with this brothers. They even saw Jaws for the first time at the drive in with this Chevelle! 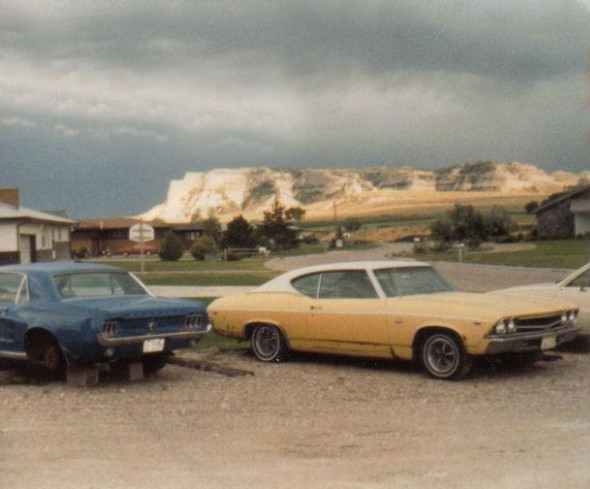 Over the next several decades, William’s father could have sold the Chevelle SS many times over, but instead waited until the time was right to hand the keys over to William. 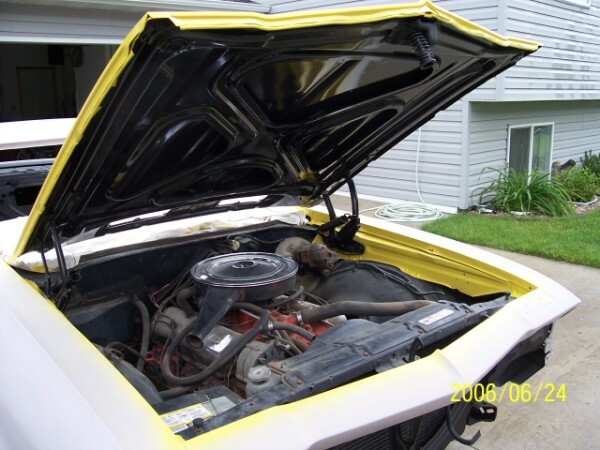 The Chevelle was mostly factory save for an early 70’s 396/325 horsepower short block which was installed when the original motor had oiling issues. 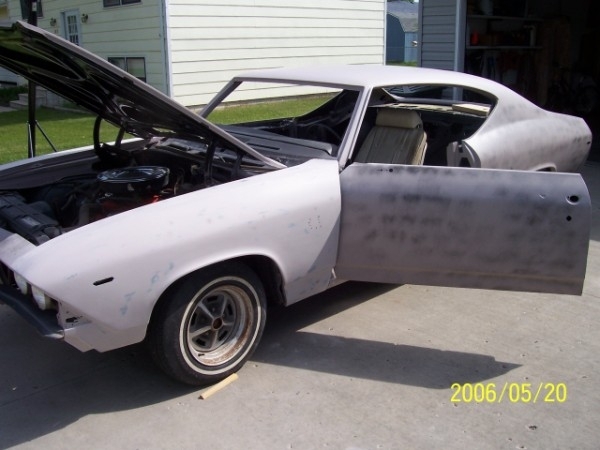 The car still retains the original Muncie 3 speed, center console, and parchment buckets, rims, 12 bolt rear end, and most of the sheet metal. A lot of people don’t believe William when he tells them it’s a Super Sport because it doesn’t have a 4 speed, but that’s the way it came right from the factory. 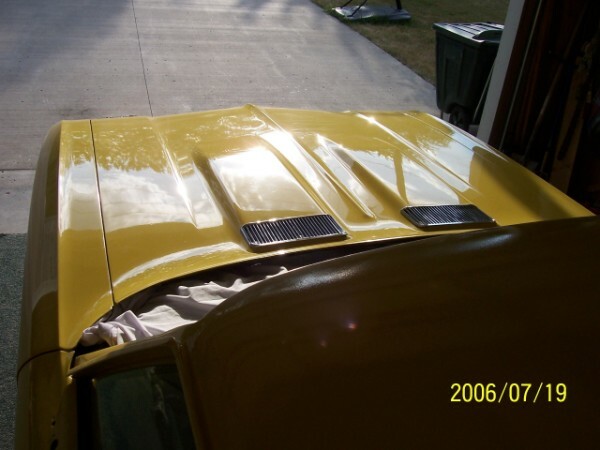 So far, WIlliam has done all of the work himself including removing the original quarter panels, stripping everything to bare metal, applying three coats of primer, painting the car the original Daytona Yellow, installing the carpet and headliner, and installing the vinyl top. William was also able to source some original trim which he installed himself to replace the dented and dinged original trim. Future plans for the car include ordering a new chambered exhaust kit. 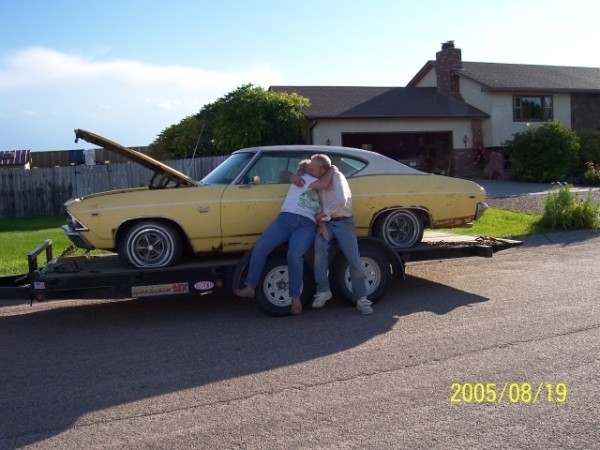 William’s folks haven’t seen the Chevelle since the restoration because they live many miles away, but they soon will. After all of the work, William is very excited for them to see it again just the way it was when they bought it!